Charles Greaves, UK Operations Director for Manufacturing comments, "The Nicholsons plant in Glasson Dock, Lancashire manufactures pressed body exhaust systems, predominantly for the EU market. The plant is reporting record output on its extensive portfolio of over 2,400 individual products, providing 98% availability across the entire range of products on offer." "Investment over the last two years in new production equipment, training and logistics has resulted in an incredibly flexible working environment that has allowed us to reduce economic batch sizes of products from several hundred, which would be the industry norm, to just tens." "It seems contrary to logical thinking that we are supplying more products by making them in smaller numbers. Availability is the key though, especially in the buoyant yet demanding replacement market. If we can provide a product on a same-day basis to anywhere in Europe, one that is fully type-approved for use in every market, then it means we are making a sale where others are not." Lean manufacturing is enabling the company to do this; a complete overhaul of the production environment, driven by a newly empowered workforce is driving the production figures up. The speed at which small batches can be produced is thanks to a new 'super cell' manufacturing arrangement where machines are made flexible via a variety of adaptive tooling and fast changeovers. The plant retains its medium-run capacity, but low batch numbers from the super cells allow the group to hold less stock as it can be replenished quickly. Better use of stock space reduces overheads and increases cost competitiveness. Production schedules are decided on a daily basis. Charles Greaves, "Full credit should also go to the dedicated team of manufacturing, engineering, quality and support staff at this site, for their intense desire to drive improvements and offer an unrivalled service to our customers." The Klarius Group operates 6 large manufacturing sites across Europe, all of which have adopted the key techniques of lean manufacturing. The group product portfolio offers some 100,000 products all on same day availability. 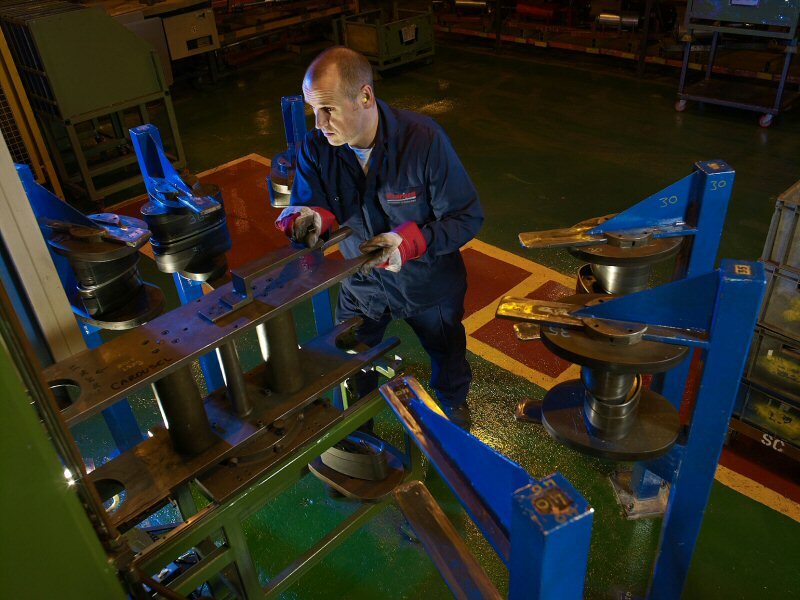 The Klarius Group operates 6 large manufacturing sites across Europe, all of which have adopted the key techniques of lean manufacturing.